Michel’s Signature Blend is a full bodied, balanced coffee with rich notes of chocolate and caramel underpinned with berry notes – our Signature blend is extraordinary in every way. We source our beans directly from some of the most exotic regions of the bean belt. We work closely with the team to create blends to satisfy the palate of our most discerning customers. Our beans are roasted in our state of the art convection drum roasters at our facilities in New South Wales. Our expertise in our roasting lies within our practice of blending unique, high quality coffee from different origins. Our Master Roasters closely monitor variables such as temperature, time, sound and colour to achieve the perfect roast every time. 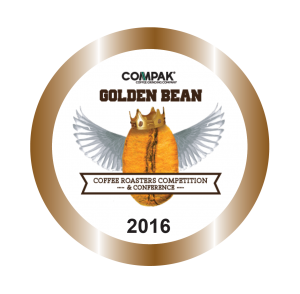 Our roasting facilities have won over 50 industry accredited awards for the high quality and unique profile of the flavours of our coffee. 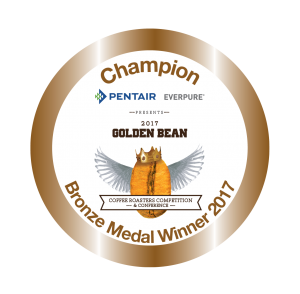 Our Signature Blend has been awarded a prestigious Golden Bean award in 2016 and 2017. We are unequalled when it comes to custom roasting capacity, boasting a team of master coffee roasting and blending experts with 35 years of experience in creating long-term consistent, flavourful blends. Our trained Baristas expertly craft the perfect cup to ensure we deliver a unique and memorable coffee experience every time.